There’s so much potential with the Air Jordan 5 3Lab5 so when customizers get their hands on em’, you have endless possibilities. 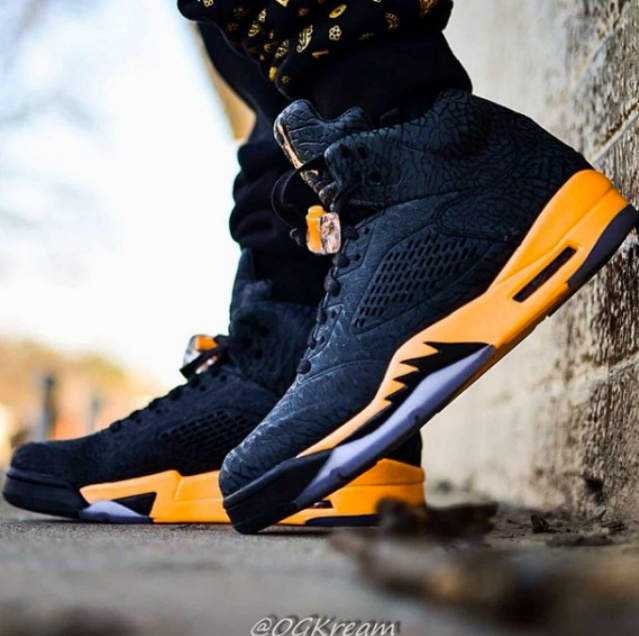 Seen here is a special Thunder 3Lab5 custom sporting a Yellow Midsole and Jumpman on the tongue, creating a “What if” rendition of the 3Lab5 perfectly done by OG Kream. For those who have a creative imagination and would like to customize theirs, You have a pretty big list of options to choose from. Could we be expecting a True Blue 3Lab5? or Oreo? Stay tuned with Modern Notoriety for more recent custom news.